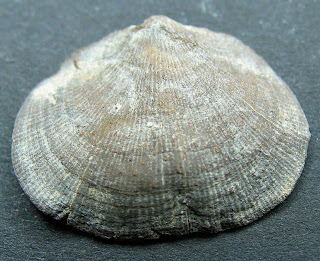 Rhipidomella sp. 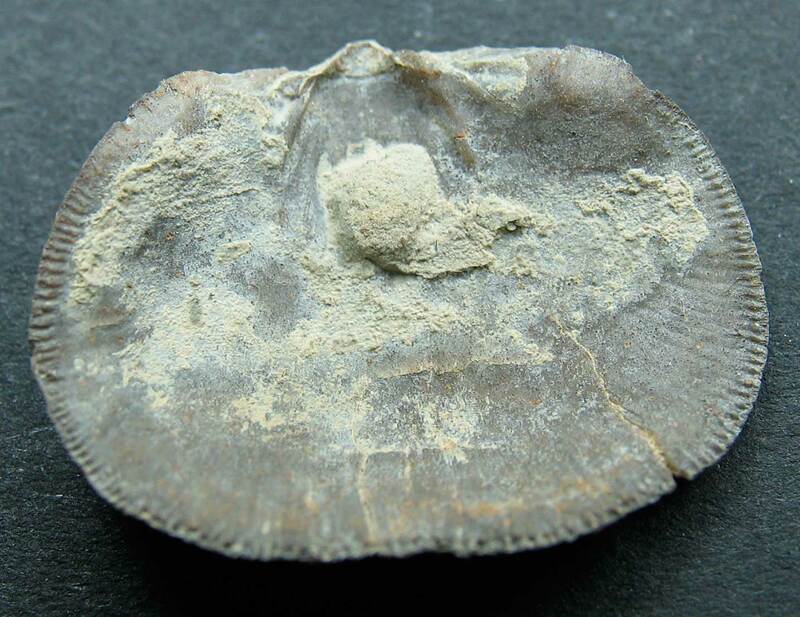 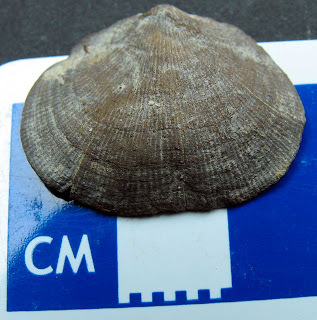 brachiopod from the Mississippian Period Borden Formation, New Providence Shale Member of Clark County, Indiana. 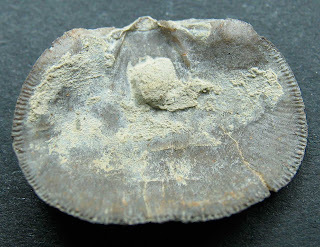 Used the Indiana State Museum collections web site for identification (click here for link).